I absolutely love creating paper projects using my POP paints. 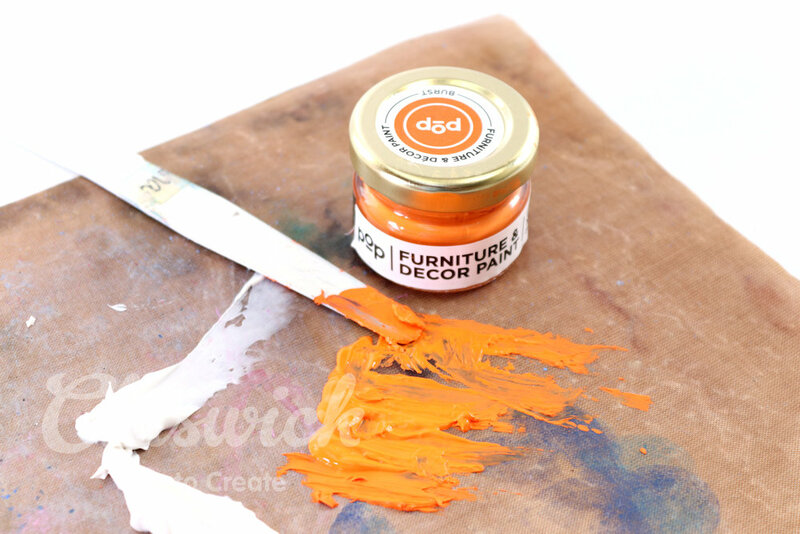 This range of paints is truly so versatile and with the new bright and vibrant colours you can’t go wrong. 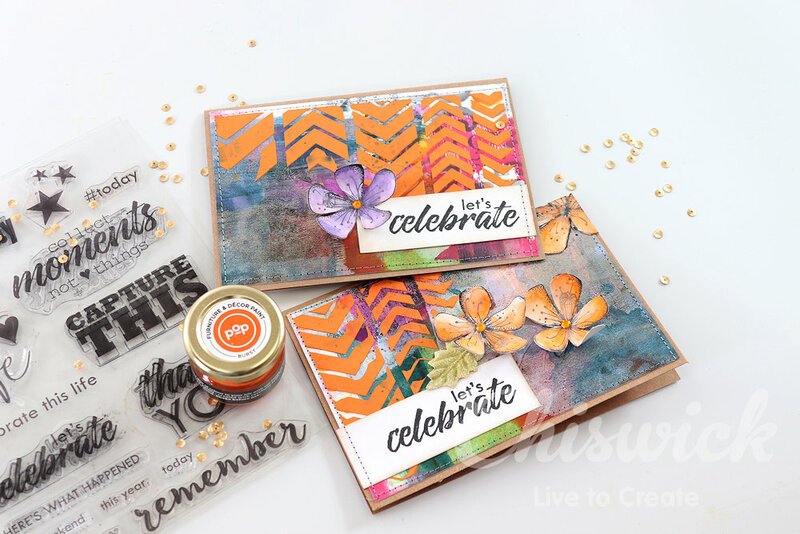 Today I created some vibrant celebration cards that can be used for birthdays and other special occasions. 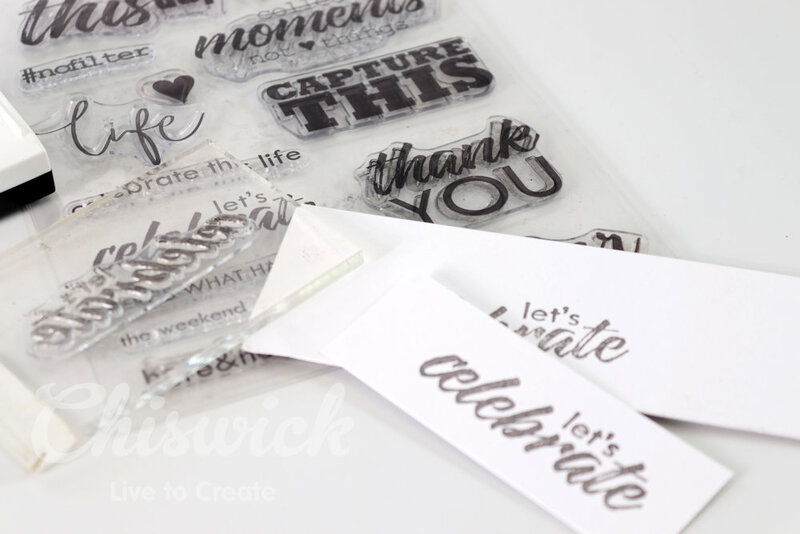 step 1 – Stamp your sentiments from the Chiswick stamp set onto white cardstock using permanent black ink like StazOn or VersaFine. 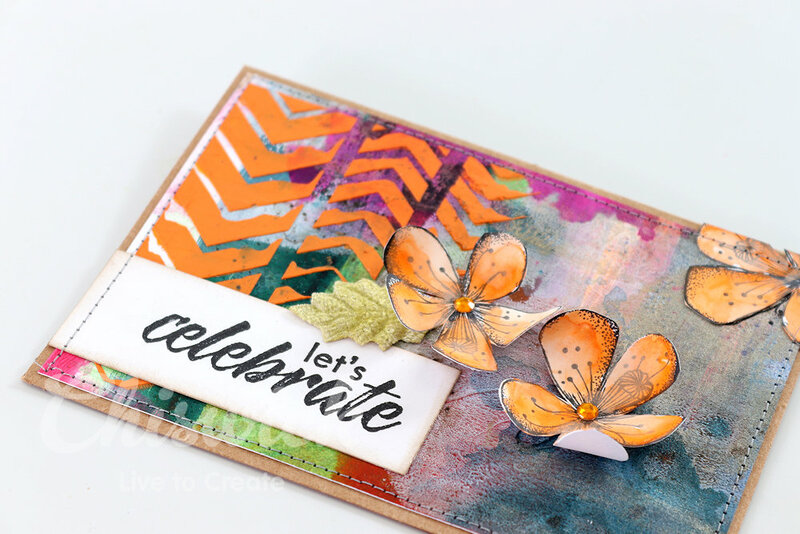 Trim the sentiments to the size you need. 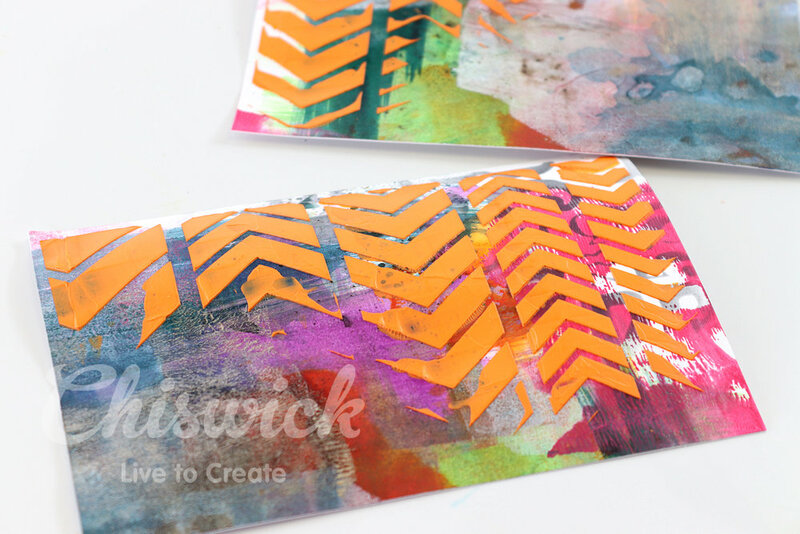 step 2 – On your craft sheet add a small amount of texture paste and POP paint in Burst. 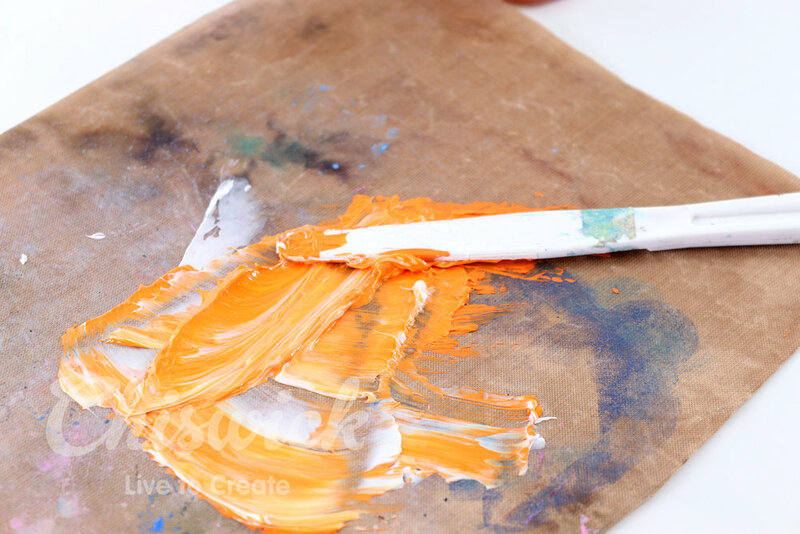 step 3 – Mix the paint and texture paste together to give you a nice thick consistency of coloured paste. 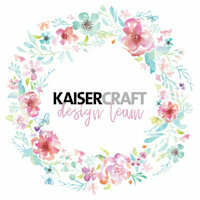 step 4 – Create a coloured background. 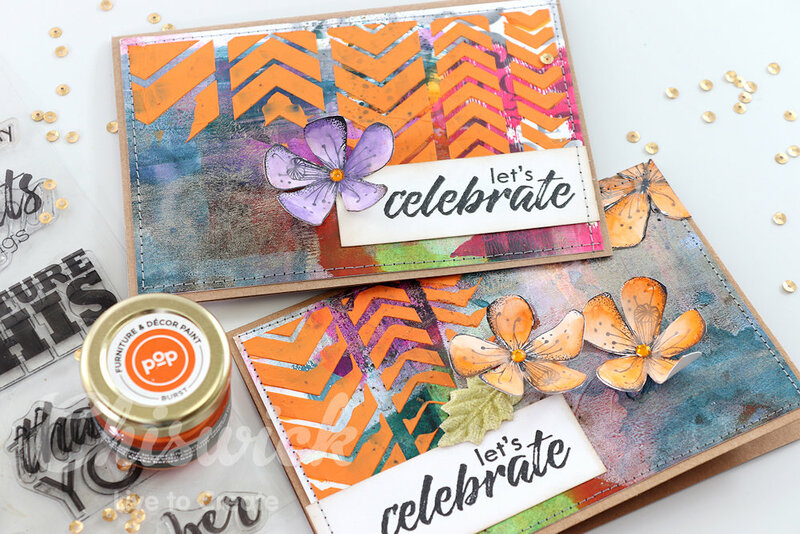 I used a variety of paints and inks to create a colourful mixed media background. Stencil a pattern on top of the coloured background using the orange texture paste mixture. step 5 – Leave the paste to dry completely. 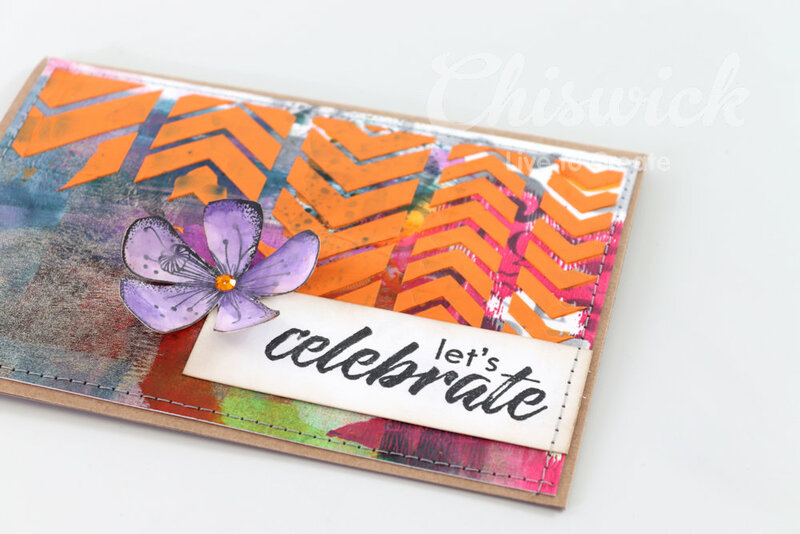 Adhere the stenciled background piece to a folded card. 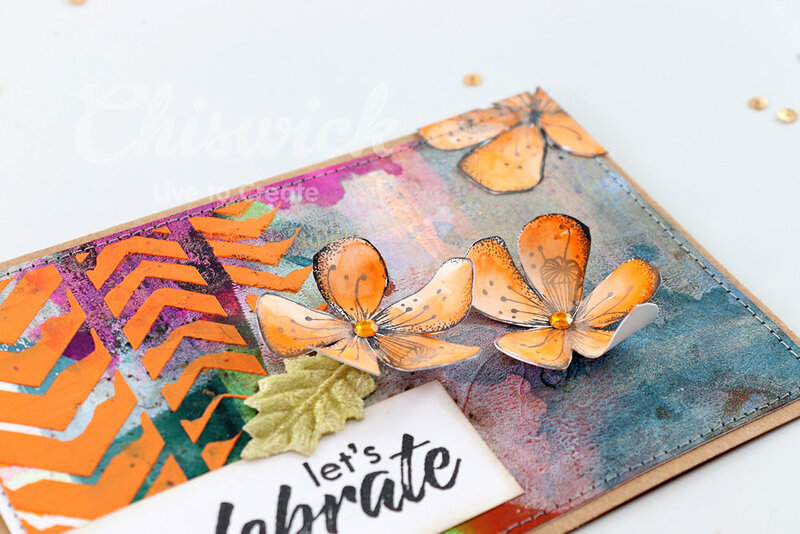 Stamp flowers onto white cardstock and use some of your watered down Burst paint to paint the flowers. 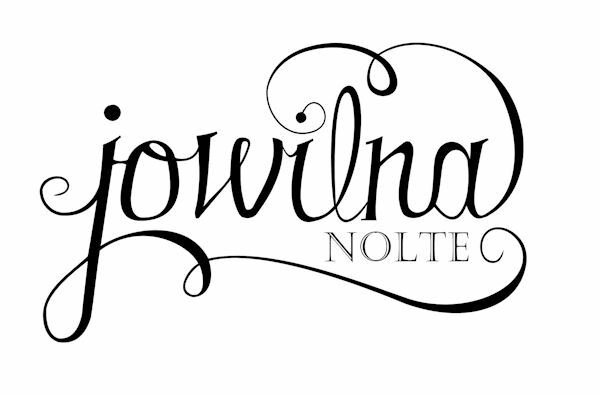 Adhere the flowers and sentiment to the card and finish off with sewing and a few diamante. And a second version using some of my Haze paint combined with watercolour paint to create a purple flower. you can build up quite a nice stash of cards ready to go at any moment.